With today´s announcement that Oracle will purchase Sun for $<insert more money then I want to think about here /> a lot of developers are asking - what happens to the open source MySQL database? Considering that PawPrint is a PHP+MySQL shop this is of particular interest to us. We have used oracle´s database engine in the past and it´s great for super huge client/server applications - but it was designed for that and not for the web. As such we chose to look elsewhere when it came to a database for web applications and have never regretted our selection of MySQL. The same conclusion was reached by many others (read millions) and that is largely why MySQL is one of the largest O/S databases used online today. So what about this new acquisition... Well it´s anyone´s guess really. Strangely most of the notices center around what will happen now that oracle has control of Java but very little has been said about MySQL. Good? Bad? - who knows... For many the question of MySQL, considering it is a direct competitor to Oracle´s flagship database product seems far more pressing that anything else, but those ´in the know´ remain somewhat mute about it. Case 2 seems to be the standard approach in old-school acquisition of a competitor acumen. But I think it´s not the most likely outcome. Case 3 seems fairly likely but that could also be a very slow veer from 3 into 2 over time. In any case I believe one thing is sure. Unless Oracle wants to see a huge thumping from the masses (al-la Facebook) I don´t think they will be ignorant enough to try and do anything to MySQL quickly. It´s too ingrained and the user backlash would be swift. Also, and probably regardless of what Oracle does - I expect to see some new Open/Source options showing up in very short order - branches of the existing MySQL code that would jump in and compete with any non-open-source that Oracle might try to push. So, how does all this affect PawPrint? Not all that much really. Our applications have always maintained a bit of a distance from the database engine, as much as possible anyway. Favoring code we control vs bleeding edge changes to the DB. 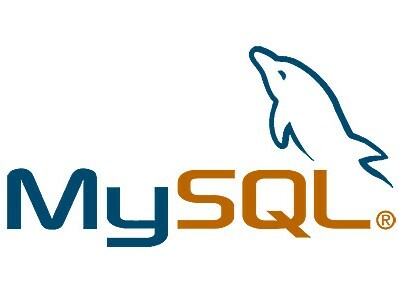 It is for precisely this reason that our systems will work on MySQL versions 3 through the latest without any changes. Should we need to switch off of MySQL it would be a fairly trivial task to adjust the code to support something else - and to automate the process of moving the database contents to another SQL engine. But, I seriously doubt anything like that is even on the horizon - not for at least the next 2-3 years anyway. However, we will watch the developments of this new acquisition with interest.